We’ll be there for openings, tours and consultation. Just let us know if you want to meet up! As you read this, CFHILL’s art advisors are at the season’s most important art fair, Art Basel, Switzerland. Here are our favourites from the main fair and also from Liste, the part of the fair with younger galleries that focus on emerging stars. Mira Dancy (Liste), striking and colorful paintings. Reminds me about how Josh Smith’s sought after variations of Edward Munch’s The Scream. Camille Henrot (Art Basel), American artist born 1978. On everybody’s mind the last couple of years. Drawings, sculpture, installations, videos. Henrot’s work reflects her interest in philosophy, literature, and anthropology. This sculpture is a new sensual side of her work. Zoe Barcza (Liste), should be familiar for those of you who have visited Loyal Gallery lately. Beautiful paintings with antique references blended with contemporary mixed media techniques. 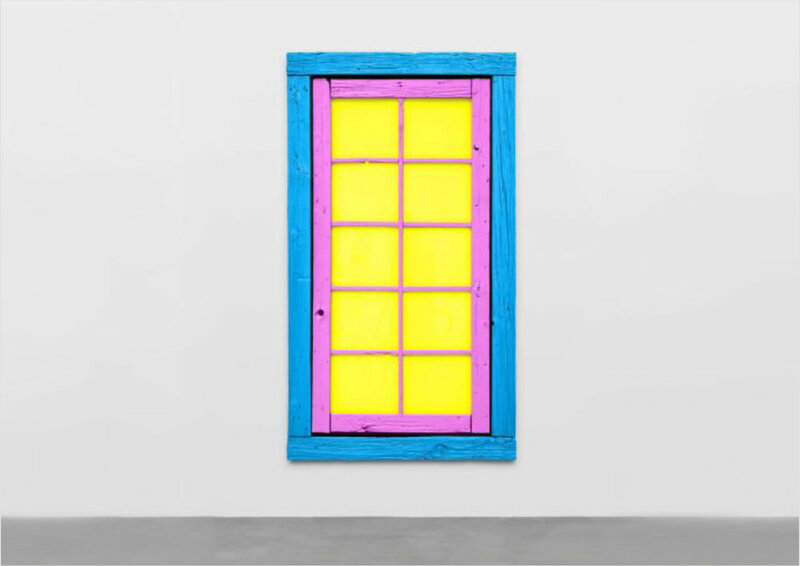 Before Ugo Rondinone (Art Basel) was associated with neon painted rocks he worked with doors and windows in pop art colors. I just love those works! Hey there, why not hang a door on a wall? Kerry James Marshall (Art Basel), the current it-boy of the art world after having broken the world auction record. Here’s a breathtaking work on PVC panel. Peter Halley (Art Basel), my personal darling, whose work literally and consistently screams from the wall. Definitely a must in a cocky collection.